A black and white negative of Captain Bateman and her Assistant dressed in their Salvation Army uniforms in December of 1938. Marjorie noted on the negative envelope that this photograph was for their "Xmas Portrait". 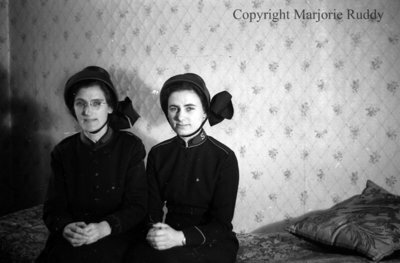 Salvation Army Workers, December 1938, Marjorie Ruddy. Whitby Archives A2013_040_869D.